The long-awaited guide to writing long-form nonfiction by the legendary author and teacher Draft No. 4 is an elucidation of the writer's craft by a master practitioner. 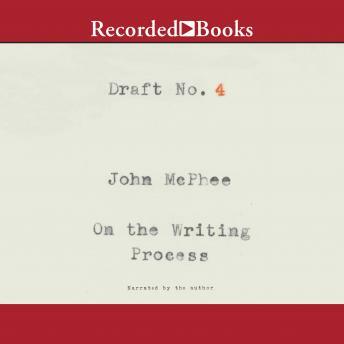 In a series of playful but expertly wrought essays, John McPhee shares insights he's gathered over his career and refined during his long-running course at Princeton University, where he has launched some of the most esteemed writers of several generations. McPhee offers a definitive guide to the crucial decisions regarding structure, diction, and tone that shape nonfiction pieces, and presents extracts from some of his best-loved work, subjecting them to wry scrutiny. The result is a vivid depiction of the writing process, from reporting to drafting to revising-and revising, and revising. More than a compendium of advice, Draft No. 4 is enriched by personal detail and charming reflections on the life of a writer. McPhee describes his enduring relationships with The New Yorker and Farrar, Straus and Giroux, and recalls his early years at Time magazine. Enlivened by his keen sense of writing as a way of being in the world, Draft No. 4 is the long-awaited master class given by America's most renowned writing instructor.